Former Fianna Fáil TD Joe Behan is standing as an independent candidate in Wicklow. 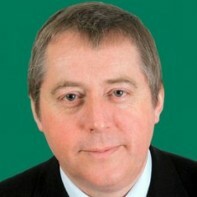 Behan, who has been active in politics since his election to Bray Urban District Council in 1985, was elected to Dáil Eireann as a first-time candidate in 2007. He split from Fianna Fáil in October 2008 due to his dissatisfaction with the provisions of the government's Emergency Budget. Before his election to Dáil in 2007, Behan was the principal of St. Fergal's National School in Bray.